Christian single ladies, let God lead you to His will, to a “Man of God.” Ask God to lead you, desire to hear from God so you will be sensitive to His leading. Not all Christian guy are good for you because not all of them are man of God, so observe your man, pray for him and ask God for discernment. They should act like a man, like a real man. 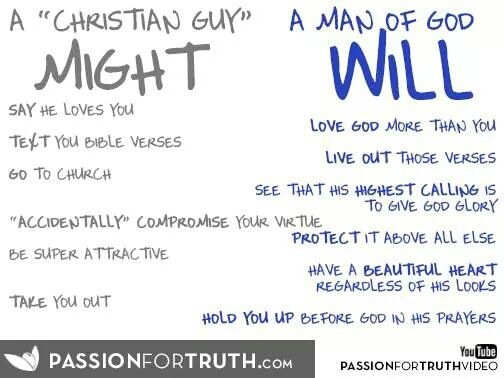 Don’t settle for less than Gods best for you, choose a man of God.